The race is on: As has been anticipated, advocates and governments in states with a vested interest in reproductive rights—pro or con—are competing with one another to see which one will land a case before the now right-leaning Supreme Court and carry the banner of overturning Roe v. Wade. But with Kavanaugh’s ascension, the balance in the court has changed. Not all states are in this melee willingly; some are now confronting their own complacency with state laws that have not kept pace with the need for updates and changes as reproductive health and abortion rights have moved forward. For example, New York state, often seen as the leader in reproductive rights from its beginnings, is now finding itself in a conundrum of its own making. When the state’s law was enacted in 1970, it was the most progressive in the nation, and tens of thousands of women traveled to New York to safely obtain the procedure. But once Roe was decided, just a few years later, the statute immediately became outdated. The 1970 law was passed by a Republican legislature and signed into law by Gov. Nelson Rockefeller, also a Republican. But as the Republican Party veered sharply rightward in the decades that followed, support plummeted among Republican state legislators for abortion. The Catholic Church and lobbyists on its behalf advocated against efforts to update the law. Democrats didn’t press the issue. The tenor of the New York state legislature was not amenable to changing the law, but times have changed. And while other state legislatures are rushing to pass the most restrictive abortion laws, New York is expected to bring its Reproductive Health Act to a vote early in January 2019 and again be a leading state for abortion rights. “This is New York. This is America. There’s Roe v. Wade. But nobody reads the fine print,” said State Senator Liz Krueger, a lead sponsor of New York’s proposed Reproductive Health Act. In addition to bringing New York’s abortion law up to today’s federal standard, the Reproductive Health Act would permit nurse practitioners, physicians assistants and midwives to provide nonsurgical abortion care, reducing wait times. It would also remove the abortion law from the state’s penal code and put it in the health code, where it belongs. Advocates say the legislation would re-establish the state as a national leader in abortion access and a place where women from more restrictive states could travel to get the care they need. Gov. Andrew Cuomo of New York has vowed to approve the legislation within the first 30 days of the new session, which begins in January. 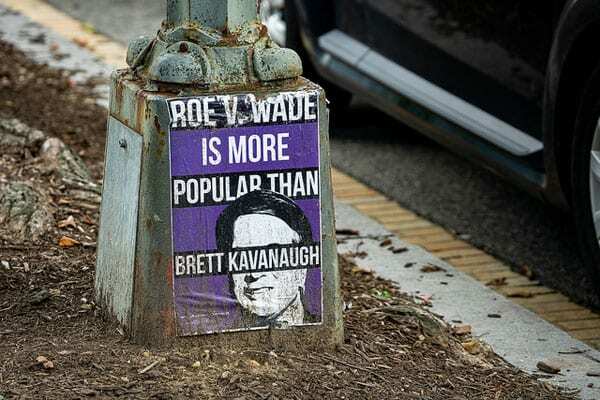 Meanwhile, states like Ohio, Mississippi, and Iowa are passing abortion legislation that could land on the steps of the Supreme Court and push the newest Justices to show their true colors on this issue. Iowa has passed a fetal heartbeat bill, and Ohio activists have passed a law banning a common second-trimester abortion procedure called dilation and extraction. In Mississippi, abortions are banned after 15 weeks. The Supreme Court ruling on free speech and crisis pregnancy clinics might create winners on both sides.